John was a Founding Partner of the Firm and retired from the active practice of law on March 1, 2019 after 49 years. He was nationally recognized as a leader in the estate planning field. While working with his clients, he was guided by three core principles. The first was to ensure that he understood the goals and spirit of what his client wanted to accomplish and facilitate the formulation of a plan that accomplished those goals. The second was to ensure that his clients understood the applicable legal and tax principles and the documents they were asked to sign. Finally, John ensured that clients understood how the two correlate. These original core guiding principles that guided John still remain an important part of the firm’s philosophy today. John is also co-founder and principal of Galahad, Ltd., designing wealth transfer strategies for high net-worth individuals and families, and facilitating proper administration of the plan once implemented; Professionals’ Back Office, LLC, an organization providing “back office” functions to law offices nationally, principally estate planning services; Strategic Philanthropy, LLC, a consulting company to non-profit organizations and which also provides charitable trust administration only for our estate planning clients. 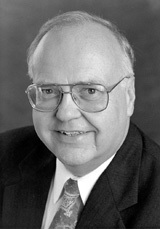 He was formally an Adjunct Professor, The Academy of Multidisciplinary Practice at Michigan State University and a Faculty Member, The Esperti Peterson Institute’s Advanced Estate Planning Studies Program, and a Contributing Reviewer, Conspectus Current, the Practitioners’ Review of What’s Current and Relevant. He is a Fellow, The Esperti Peterson Institute and a member of Wealthcounsel, the Advisors Forum, Planned Giving Council of Rhode Island; Rhode Island Bar Association; RIBA’s Probate and Trust Committee. “Introduction to Charitable Remainder Trusts”, 43 pages (1995). Contributing Author, “Real Estate Law for Paralegals”, 1970, West Publishing Company. Contributing Author, “Ways and Means, Maximize the Value of Your Retirement Savings”, 1999. Contributing Author, “Generations, Planning Your Legacy”, 1998. Contributing Author, “Giving: Philanthropy for Everyone”, 2002. Contributing Author, “Love, Money, Control”, 2003. Reviewer "When S. Corps. Meet Charities: Choice of Entity Considerations From An Income Tax Perspective", Conspectus Current, Summer, 1999. Author, Practice Tool, "Letter Agreement Between Charitable Donee of S Corporation Stock and the Donor", Conspectus Current, Summer, 1999. Co-Reviewer "Charitable Gifts of Subchapter S Stock: How To Solve The Practical Legal Problems", Conspectus Current, Summer, 1998. Co-Authored "Breakdown of the Detroit Minimum Housing Code", Prospectus: A Journal of Law Reform, Dec.,1969.